I will be co-convening topical sessions on Ice-Ocean-Sediment Interactions and Seismicity of the Cryosphere. My co-conveners for the Ice-Ocean-Sediment Interactions session (session OS010) are Katie Boldt (Univ. of Wash.), Carlos Moffat (Univ. of Concepcion, Chile), and Martin Truffer (Univ. of Alaska Fairbanks). 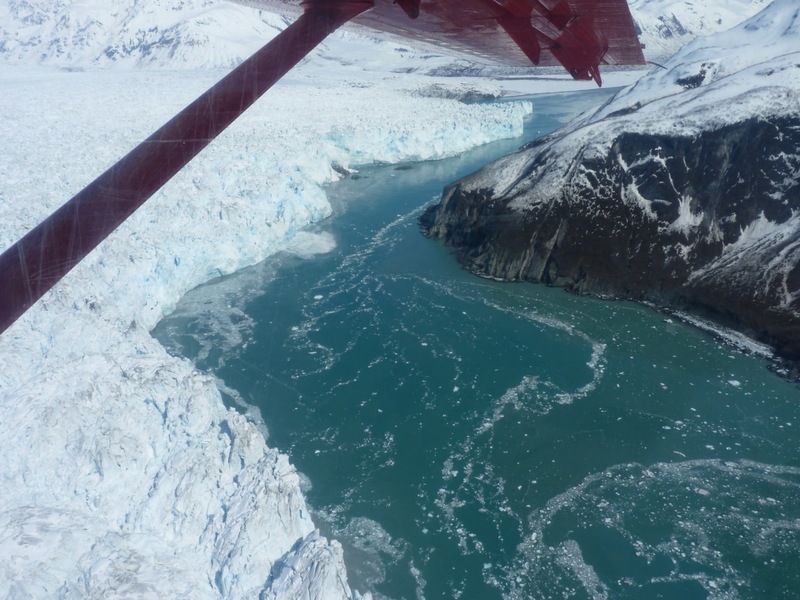 In this session, we’ll be exploring how glaciers, the ocean, and sediment on the seafloor and glacier bed interact to control glacier flow, iceberg calving and melt of the submarine portion of glacier termini. For the Seismicity of the Cryosphere (C027), my co-convener is Brad Lipovsky (Stanford). In this session, presentations will focus on how seismic waves (like those produced by earthquakes) can be studied to learn more about how the frozen earth works. Topics will include iceberg calving, sea ice and river ice fracture and grinding, water motion through ice, and friction between glaciers and the ground they move over. You can read the descriptions for these two sessions here. The AGU Fall Meeting takes place each December in San Francisco. The national morning show has produced a short video segment describing UAF’s aerial surveying of Alaska’s glaciers. During the glacier surveying work I described in my last post (June 3rd), our UAF team was joined by the TODAY show. They put together this story, which aired nationally on Sunday, June 9th. In late May, I traveled to southeast Alaska as part of a team measuring the changing size of Alaska’s glaciers. 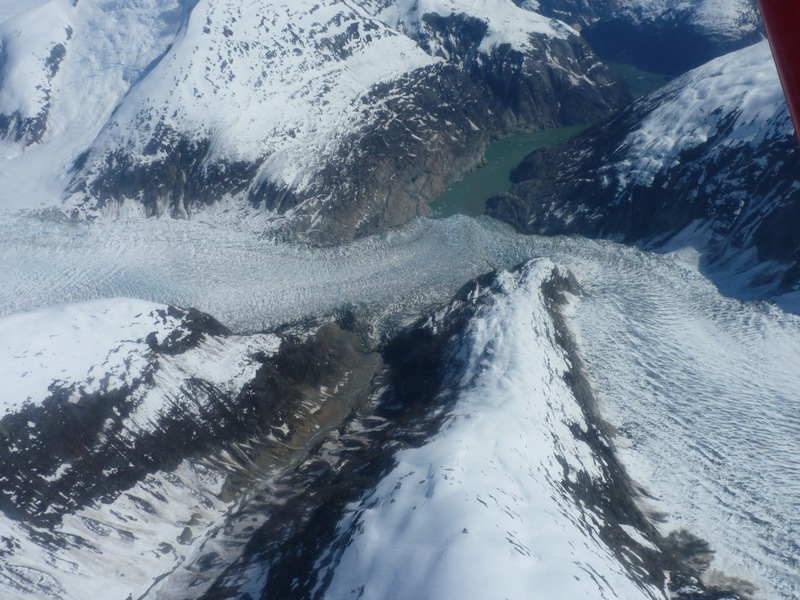 The vast majority of Alaska’s glaciers are getting smaller. 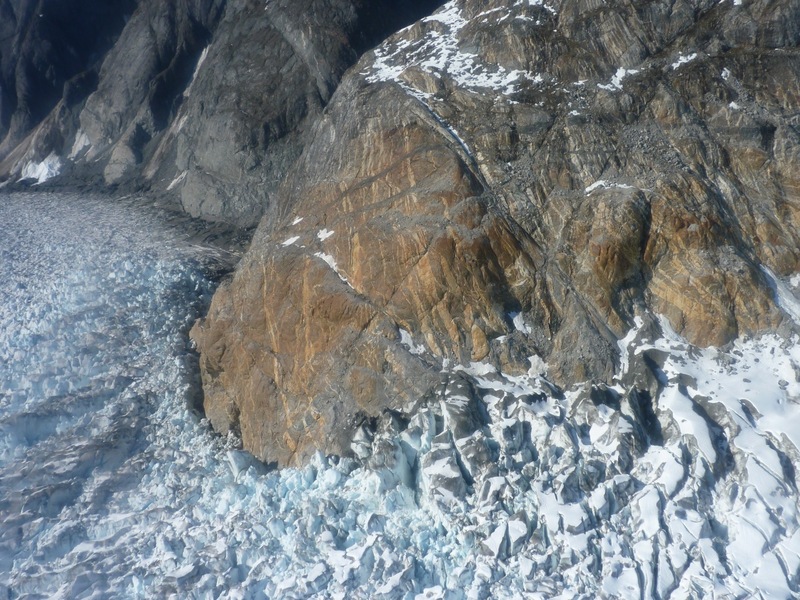 There is significant on-the-ground, geological evidence for this and in-depth studies of individual glaciers have told a consistent story of diminishing ice. 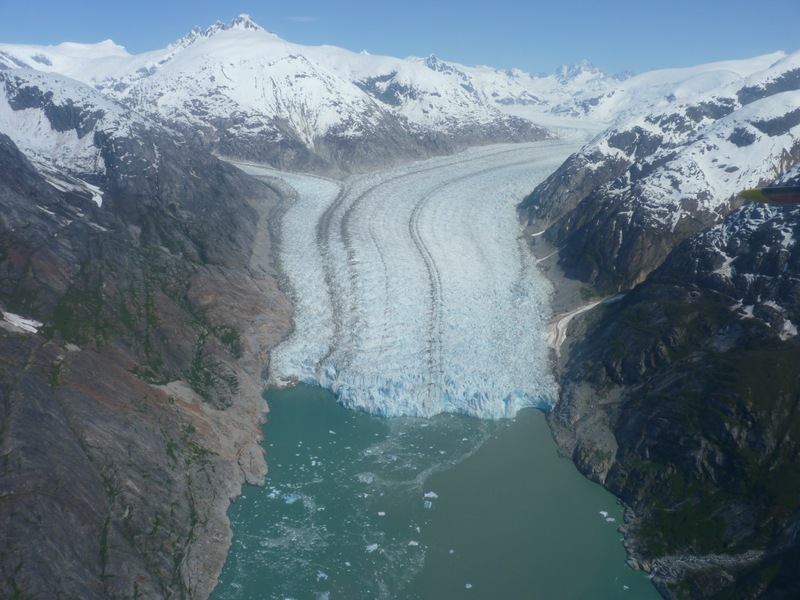 However, Alaska’s glaciers are found in at least 10 separate mountain ranges that span an extreme range of climates. Measuring how quickly all these glaciers are changing size, and quantifying their effect on sea level rise, is impossible from the ground. 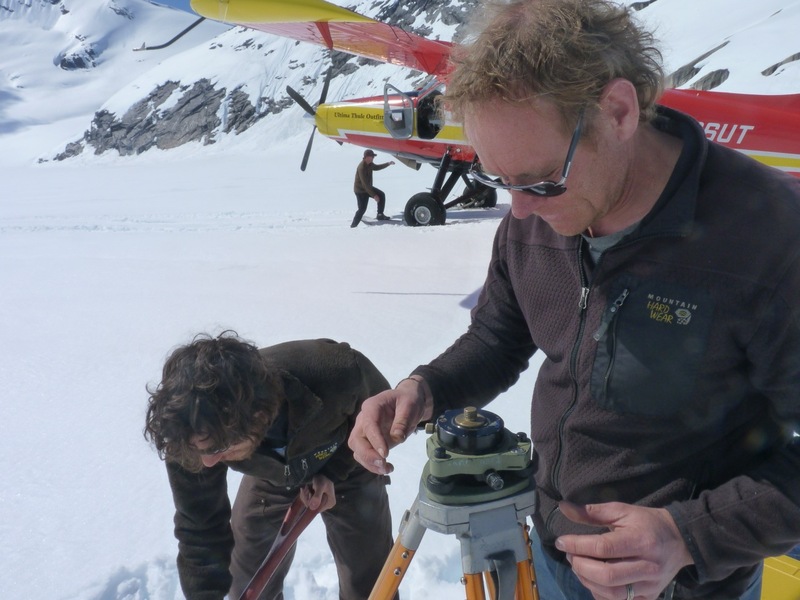 My graduate supervisor, Chris Larsen, as well as Martin Truffer, also at the University of Alaska Fairbanks (UAF), are presently answering these questions in one of the best ways possible: by flying over Alaska’s glaciers with a scanning laser and a radar to measure the size, shape, and thickness of Alaska’s glaciers. 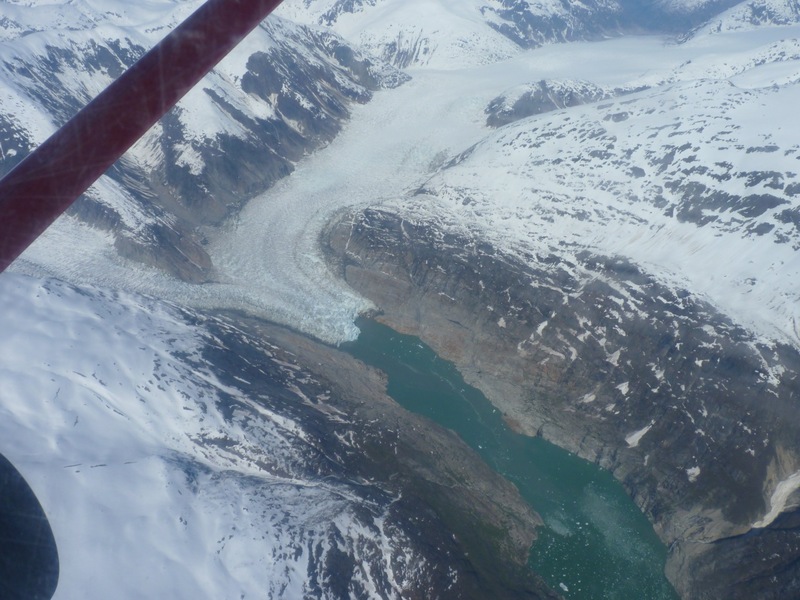 They fly their instruments approximately 1000 ft above the surface of representative glaciers every year or couple of years. The laser bounces light beams off the surface of a glacier that enables Chris and his team to measure the height and size of the glacier. 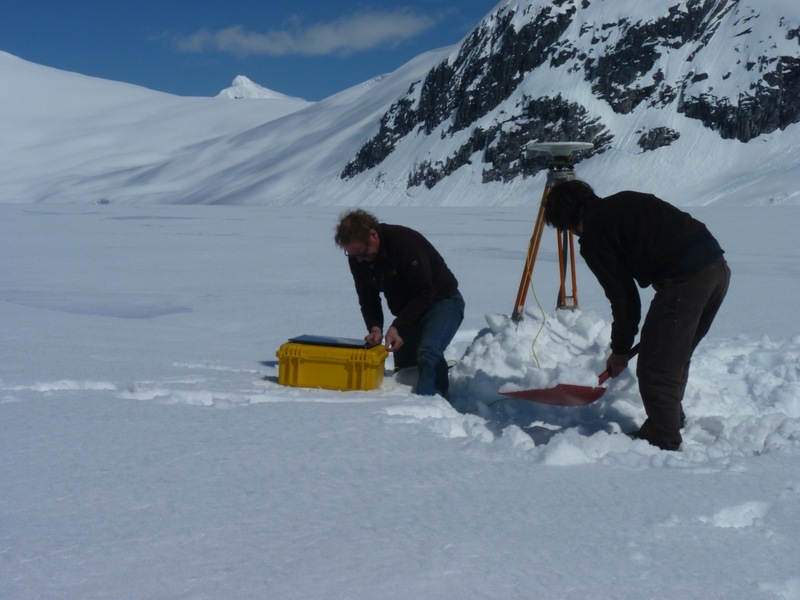 Martin’s radar sends radio waves through the glacier that bounce off the bottom of the glacier and allows him to identify the glacier thicknesses. By making the laser measurements in the same place, year-after-year, Chris is able to tell how quickly these glaciers are changing their size. 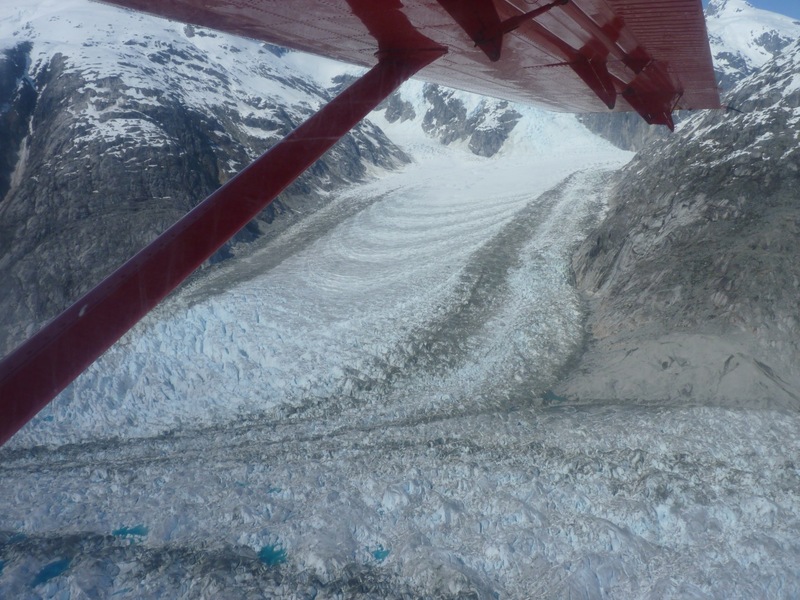 On average, Alaska’s glaciers are losing about 2 feet of ice thickness each year. However, this decrease in glacier size is neither constant (i.e., the same from year to year) nor uniform (i.e., different glaciers are changing size at different rates). 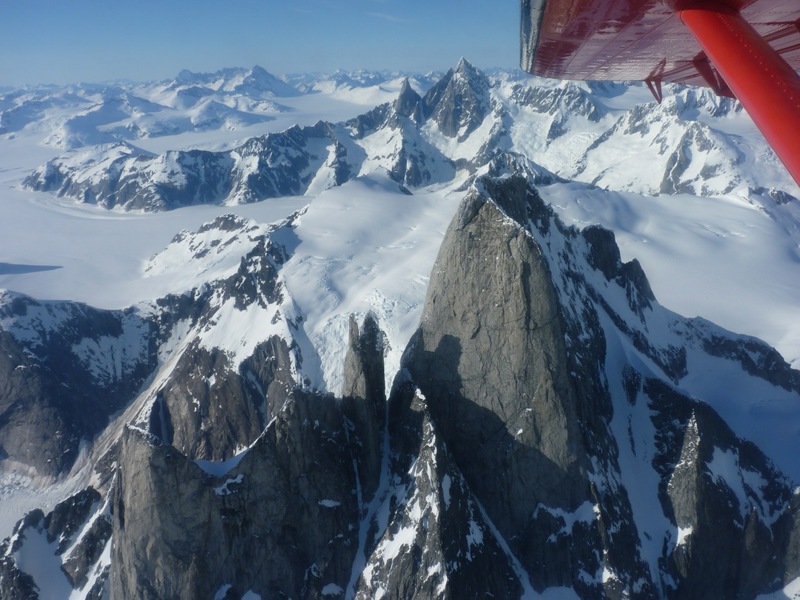 This multi-decade project, most recently funded by NASA’s Operation IceBridge mission, also allows Chris to learn more about the factors that make one glacier shed mass faster than another. 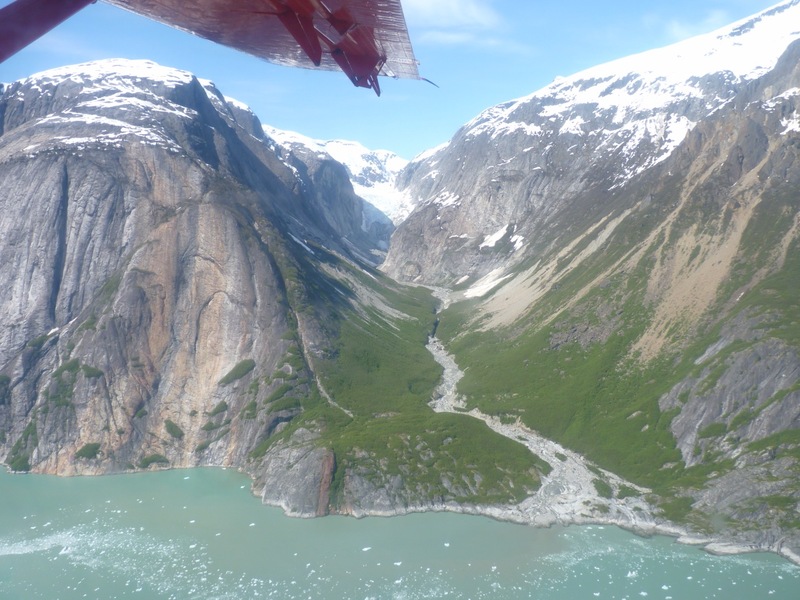 When Martin’s radar results are included, they can make direct comparisons between the thickness of a glacier and changes in that same glacier thickness. Other interesting factors are glacier size, steepness, location, and whether a glacier ends in the ocean. All of these elements can effect changes in glacier size. 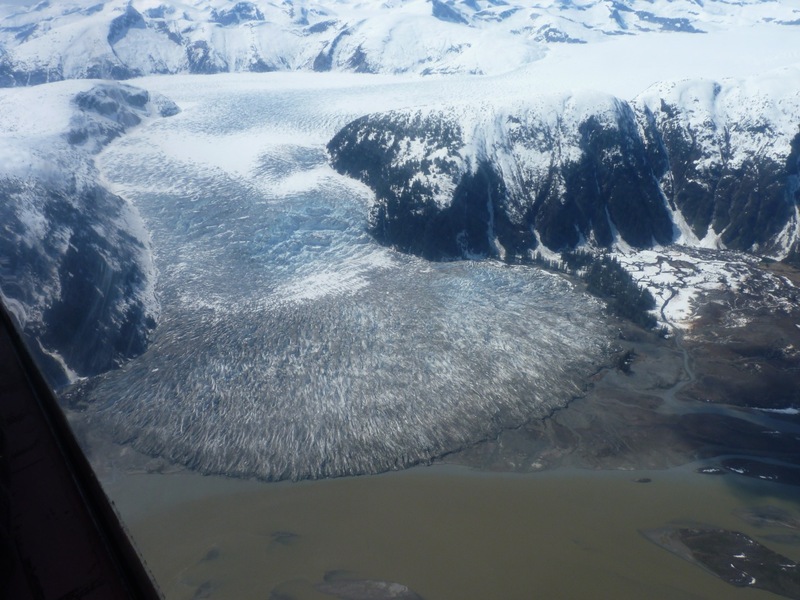 And how these factors contribute or delay the wastage of Alaska’s glaciers is a topic that glaciologists are presently working hard to understand. I recently joined Chris and Martin on their field work, along with glaciologist Evan Burgess, to survey some of the snowiest, most heavily glacierized locations in Alaska: the St. Elias Range, and the Stikine Icefield. A few of my pictures are below. I really enjoyed seeing so many different variations on the same theme. It was clear that many of the glaciers were getting smaller, but they are all get smaller in different ways: through thinning, slowing down the rate at which they flow, or becoming shorter. I will continue my research on the behavior of ocean-terminating glaciers as a postdoctoral fellow in 2014. I’m very excited to have accepted a postdoctoral fellowship at the University of Texas. I’ll be working with a great team to learn why three neighboring glaciers on the west coast of Greenland have behaved so differently over the last 10 or so years. I start with them this winter. This semester, I had the opportunity to teach the Glaciers third of an 80-person, freshman-level course on Glaciers, Volcanoes and Earthquakes. I enjoyed engaging with my students and watching as their interest in glaciology expanded. Like I learned when I began my graduate study of glaciology, frozen water is a lot more interesting than you might think!